Audi kicked-off the Hahnenkamm-Weekend in Kitzbühel (Austria) with the introduction of a whole new discipline: leading Slalom World-Cup racer Henrik Kristoffersen (Norway) and MotoGP-Star Andrea Dovizioso (Italy) triumphed in Wednesday's first ever Audi quattro #SuperQ. 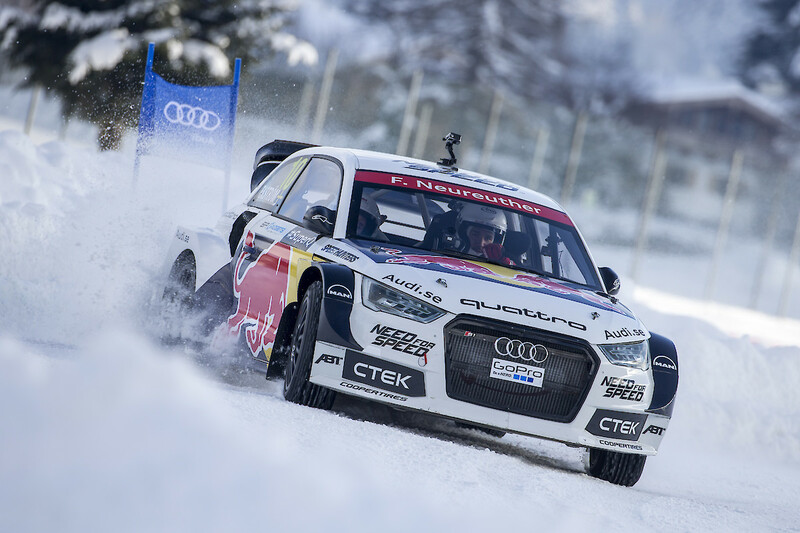 Four professional skiers and four other athletes accepted two-time DTM-Champion Mattias Ekström's challenge: testing the 580 horsepower Audi S1 EKS RX quattro, which he drove in the FIA-Ralleyecross-World Championship, before the Hahnenkamm-Ski Races. Two 367 horsepower Audi RS 3 Sportback* were also ready for a spin on a specially prepared snow and ice track. Each Team was made up of two athletes. The two professional Swedish racers Mattias Ekström and Edward Sandström supervised the Sport Stars' duels. Ekström, initiator of the event, was visibly impressed: "I was surprised at how fast the boys caught on and at the high level of their driving. My heart definitely started racing as I sat in the passenger seat." 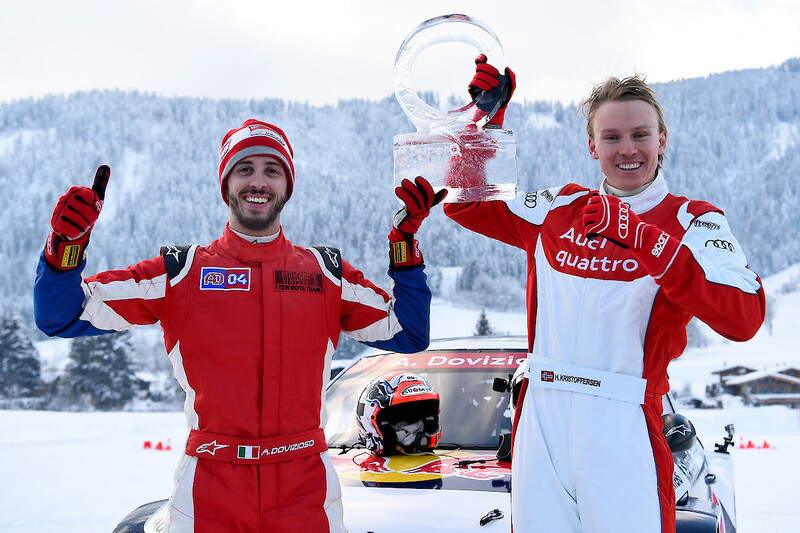 Henrik Kristoffersen and Andrea Dovizioso won against Slalom Star Felix Neureuther (Germany) and Enduro rider Tadeusz Błażusiak (Poland) in the Audi quattro #SuperD finale, though it was very close. 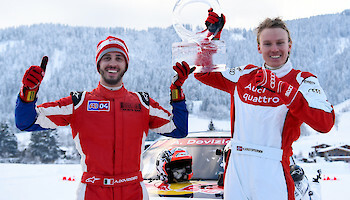 After Kristoffersen made a mistake, Neureuther was ahead at the last gate in the ski racers' duel, whereas Dovizioso was in front in the Motor athletes' race. For the all deciding play-off, the ski stars watched from the passenger seats as the race drivers took the wheel. "It was insane", said Kristoffersen. "Andrea kept his foot down when I would have hit the break long ago. All in all it was a great day and I had heaps of fun. Driving a car like that is an extremely impressive experience. It was also my first victory in Kitzbühel - maybe I'll be able to repeat that in Sunday's Slalom."